December 30, 2014 In News What is Michelle doing now? 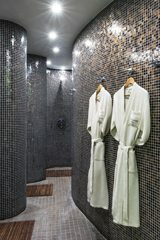 Michelle carried out a photo shoot of the newly refurbished spa and gym at the Kempinski Bahia Hotel, Estepona, Marbella. The shoot included models working out in the gym, architectural shots of the Turkish bath, Sauna and relaxation areas, and Hotel Essence details. Stylist Maria Mena really brought out the best in the shots, from removing the very last crease to preparing bowls of cascading fruits. “The stylist plays a key role in setting the scene,” explains Michelle. 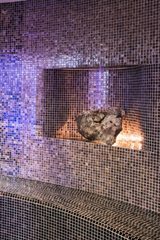 Photography comes from the Greek photo + graphia, literally “painting with light”, and in some of the very low-lit spa areas, this is just what the crew did – create that perfect subtle-lighting spa ambience. It’s always interesting to return to a hotel some years after a previous shoot- a decade ago, Michelle was here to photograph the rooms, and their unrestricted views to the ocean. At that time she was working on medium-format slide, back in the days of film. Hotels and technology have both evolved, and now with digital techniques, we have so many more possibilities, especially bringing out details in the shadows and expanding the high dynamic range. Michelle’s last shoot at the Fairmont San Francisco took place in 2011. 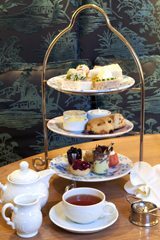 In early December, Michelle returned to photograph their afternoon tea, with brand new vintage style plates. Whilst there she also captured on camera the wonderful historic Cirque room. The Cirque Room was the first bar to open in post-Prohibition San Francisco and was the place to go for entertainment in the City before the hotel’s Venetian Room opened. Designed by architect Tim Pflueger, its incredible bar is still intact, as are the original murals by Margaret Bruton. It offers a snapshot of quintessential art deco grandeur. Michelle was lucky enough to join a familiarization press trip with six British journalists on her last evening in San Francisco. The whole group was entertained by executive chef Andrew Court – superb cuisine to say the least. The charming General Manager of the Stafford Hotel London, Christine Hodder, was in the audience when Michelle delivered her speech at the Historic Hotels of America Annual Conference in Pebble Beach, California, in November. 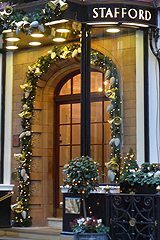 The Stafford London is one of those quintessentially British hotels – according to stories, it has secret passages and even doorways leading directly to St James Palace (the monarch’s residence until the time of Queen Victoria). The hotel’s wine cellars are 380 yearsold, built in the 17th century by Lord Francis Godolphin, and used as an air-raid shelter in World War II. DuringWWII, The Stafford served as a club for American and Canadian officers who sought refuge in the wine cellars. 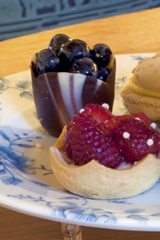 Afternoon tea at The Stafford London. The hotel looked so cosy at Christmas as they served up mulled wine, mince pies, turkey sandwiches and a wonderful section of cheeses below ground. The American Bar has an interesting history too. During the 1930s most West End hotels in London renamed their bar ‘The American Bar’ in an attempt to attract the business of the increasing numbers of North American visitors. These intrepid travellers brought with them such exotic drinks such as Manhattans, Sidecars and Martinis, which this bar isstill famous for.Most hotels have renamed their bars, yet The Stafford remains one of only two in London that have kept the name. The hotel also played host to a heroic wartime spy. Nicknamed the White Mouse by the Nazis, Australian surveillance officer Nancy Wake was a highly decorated war hero who worked in the French Resistance. For nearly two years, Nancy stayed at the Stafford, enjoying several G&Ts in the American Bar every day. This is one fascinating historic hotel and the shot list is evolving. 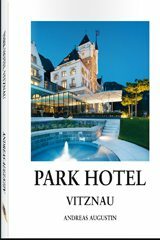 In June 2013 Michelle and her crew worked on creating contemporary photographic images of the historic Park Hotel Vitznau, in Switzerland, to be included in a coffee-table book documenting the hotel’s heritage.This 232-page hardback book was published by the Most Famous Hotels in the World in spring 2014. Shots included modern-day architecture, hospitality, the Michelin-star restaurants (which obtained their accolades just two months ago)and its cuisine, environmental portraits of the chefs and reception staff, the chauffeur service, close-ups of the quality fixtures and fittings,and sweeping panoramics of the hotel, the emerald-coloured Lake Lucerne, and the snow-capped Swiss Alps. The front cover of historic Park Hotel Vitznau´s book. Who is the cover award nomination from? 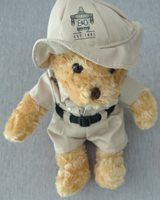 Sometimes, even after you’ve left a hotel, the experience continues with a delightful surprise, just like when this little fellow – the Eastern & Oriental colonially-dressed doorman teddy – arrived in the post. This is another hotel with over 100 years history, and the stories go on and on. Michelle Chaplow is delighted and honoured to now be an approved photographer for Historic Hotels of America TM. Founded in 1989 by the National Trust for Historic Preservation, Historic Hotels of America identifies quality hotels that have faithfully maintained their historic status, authenticity, sense of place, and architectural integrity in the United States. She is also an approved photographer for Historic Hotels Worldwide TM. This prestigious organization is dedicated to promoting heritage and cultural travel to prestigious historic treasures worldwide. There is something fascinating about historic hotels – they offer an experience like no other. You can almost taste the history in the air, so many events and celebrations have been staged in historic hotels, their walls hold so many stories, and they are an absolute pleasure to photograph. “If I had to choose between a photography project for a new luxury hotel or a historic hotel, it would be a historic hotel, every single time,” says Michelle. Wishing a very Happy Christmas to you all from Michelle Chaplow and her Luxury Hotel Photography crew. We are looking forward to new photo assignments in luxury and historic destinations in 2015. Kempinski Bahia Hotel Marbella Spa. 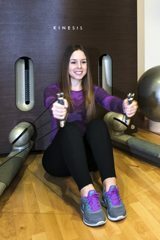 Working out at the Kempinski Spa gym. Turkish baths at the Kempinski Hotel Spa. Afternoon tea at the Fairmont San Francisco. Christmas time at the Stafford London. 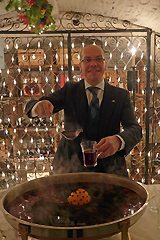 The Stafford´s secret mulled wine recipe. A very warm winter welcome from the Stafford. Cover of the Year nomination, shot by Michelle Chaplow at Park Hotel Vitznau, Switzerland. The E&O colonially-dressed doorman teddy.